Home / Blog / Blogging / What Is The Sound Of Your Blogging Voice? One of the ways in which bloggers seem to struggle is in finding their voice. I know I did and I think some of what was going through my head when I first started blogging is typical for many people. I decided to become a blogger for a variety of reasons, one of which being that I thought I had something to say. But when I set out I didn’t really know what it was I wanted to say or how I wanted to say it. If you’re anything like I am you probably had some ideas for what your blog would be about and some ideas for specific posts. But when you sat down to actually write them it just didn’t feel quite right. It somehow wasn’t what you were thinking it would be. I think a lot of that feeling is from not yet having a voice for your writing. Don’t worry though as long as you keep at it you’ll find your voice. I guess the first question that needs to be answered is what exactly is your writing voice. Voice is the sound your writing makes when read. When we read we hear the words in our head and what we hear is the author’s voice. Voice is the style with which you write and it’s the natural rhythm your words create. More though, your voice is what you bring to your writing. It comes from your personal observations of the world and your beliefs and values. Your writing voice in essence is you. It’s more than just your words. It’s everything about you coming through you in the words you write. Every writer has a voice and if you read passages by two different writers it should be apparent that they have two different voices. Henry Miller had his voice. Virginia Wolf had hers. James Joyce and William Faulkner had their own voices. If you’re familiar with each of them I should be able to put a passage in front of you and you’d know who wrote the words even if they aren’t from any book you’ve read. You’d recognize the writer by his or her unique and distinctive voice. Jack Kerouac is one of my favorite authors. I’ve read enough of his work that if I were to come upon some lost work of his I would likely know he had written it. I would know, because I’ve come to recognize his voice. Why Is Voice Important In Blogging? As I said above a good voice can carry your writing even if the ideas are sometimes lacking. Most of the time when we enjoy reading a particular author it’s because we like the voice of that author. The authors I mentioned above are among my favorites and no matter what they decided to write about I would most likely enjoy reading it. It wouldn’t matter if the writing was fiction or non fiction, prose or poetry. I have come to enjoy each of their voices and will eagerly read any of their words. There are also bloggers who’s voices I’ve come to enjoy and will continue to read no matter what they have to say on a given day. Rand Fishkin and Aaron Wall are two of them. Both blog about a subject for which I have much interest, which as I’m sure you know is SEO and marketing. Still there are many people blogging about the subject and of them these two are among my favorites. Why? It’s because of their blogging voice. It’s more than just the style of their writing. It’s who they are and the perspective they bring to their subject. Quadzilla is another SEO blogger who’s voice I enjoy. Because his site focuses on the dark side of SEO I generally won’t put into practice much of the advice I would get at his blog, but I’ll still read it because of the voice behind that blog. While I may not use a specific technique mentioned, I’ll still always take something away from the post. If you read here regularly it’s most likely because you enjoy my voice. Most of the topics I blog about can readily be found elsewhere, but you still come here among any other stops you make. It’s the voice that keeps you coming back. Over the course of the next year, it’s within reason to think that I’ll write 30 posts about various aspects of link building. Chances are in all but a few of them, what’s said in those posts will have been said many times over here and elsewher. Yet all might still be unique because they all come through my hopefully unique voice. The reverse is also true. If you didn’t care for my voice you probably wouldn’t have made it to these words in this post and you probably wouldn’t come back for more. The ideas in the post could be exactly what you were hoping to find and the information could be just what you wanted to learn, but you might still end up quickly leaving and looking somewhere else for the very same information. If you can develop your voice you can keep the people who like your voice coming back again and again to read your words. No matter what it is you are writing about on a particular day they will find something they can take with them. And that something will come from your voice. How Can You Develop Your Blogging Voice? The best way to find and develop your voice is to continue to write and let it come naturally. Keep a journal and write, write, write. The reason for the journal is that your journal isn’t trying to impress anyone. You’re writing for you and you can see through all those big words you’re thinking make you sound more literary. You can see through your own BS so there’s no reason to put it there. Your private writing will be more you than anything you write for the public. It’s also important to read a lot if you want to write well. Remember your voice isn’t just how you write. It’s your unique perspective coming out in your writing. I spend a good deal of my day writing about SEO and webmaster related topics here on this blog and on various forums. But I spend even more time reading about those same topics. I’ll read opinions from a variety of sources and make my own judgments about the validity of each. I’ll think about the advice I receive and weigh the words I read. I’ll tear them apart and put them back together in my own way and form my own opinions. The way I finally have everything assembled is my perspective. It’s my unique view of the subject and it will come through in my voice and be part of my voice. If you’ve read the things I’ve said enough you can probably guess what I may say about something new, because you’ll have come to know my voice. Imitation has been called the highest form of flattery and it’s perfectly fine to try to emulate other voices when developing your own. There is probably a part of every writer I’ve mentioned here within my own voice. And perhaps one day my voice will form part of the voice of another. In then end though, imitation will only carry you so far. You could no more be me than I could be Jack Kerouac. That’s not to say that any of us is better than any other. We’re just all different. Everything in your life will go into the development of your voice. We haven’t lived the same lives and so our voices will inevitably be different. Think about who you are and the life you’ve led when developing your blogging voice. Are you inquisitive or philosophical. Would you rather put someone in their place or do you prefer to do good things for others. It ultimately has to come from you. Don’t agree with me or anyone else if you think we’re wrong. Use your own voice to tell it from your perspective. Your voice should be passionate about what you believe. Sometimes the words we’re least wanting to let out, the ones we least want someone else to know, are the words that are coming from out voice. Those are often the words that will prove to be the most uniquely you and the words the rest of us will find most interesting. I’m not saying you should reveal all your deepest and dakest secrets, but there’s a good chance you’ll be able to find your voice inside those places that are the hardest to face. Don’t try to force your voice. It has a tendency to hide when you try hard to get at it. Keep reading and forming opinions and keep writing whether it’s on your blog or in your journal or even if it’s just your grocery list. The more you write the more your voice will come to the surface. The more you forget to look specifically for it the more it will reveal itself to you. Once you’ve found your voice (and you will if you keep reading and thinking and writing) you’ll find it easier to write on most anything and the more you’ll begin to see ideas for your blog no matter where you look. An interesting voice can keep people reading unoriginal ideas and can bring people back for more whatever the topic. So what sound does your blogging voice make? What does it add add to the world around you and what does your voice have to contribute to the topic of your blog? Thanks David. Yeah write, write, write, does take work, but it’s more meant as encouragement to everyone that if you keep at it you’ll get there. I think the passion is very important. I know the passion I have for seo and marketing and web design and anything else I choose to write about is what keeps me wanting to know more and looking for ideas and even recognizing ideas in the least likliest of places. I think the wandering thoughts could become part of your voice. We all wander to a degree. But what if you were to start writing about something and let your mind wander to tangential topics to show how the two ends of your thought stream are connected. You might also wander off to different topics and then bring things back to the original idea. You could be the wandering blogger. I don’t go back in and change the words on the posts, but not because I think it’s wrong to do. I’m just too lazy to go back in. I also like to look ahead instead of look back. For me once the post is done it’s done and I’m ready for the next one. It’s not a bad idea though to go back in and rework things to make them better and maybe it’s something I’ll do some time. Funny Matt, though I’m actually an elderly Caribbean woman. I’m not sure how I would descibe your blogging voice, but I know I enjoy reading your blog. The words flow naturally and it’s always sounded good to my elderly Carribbean ears. I’m not really sure if I’ve found my voice yet. I think it’s getting there, but I’m not sure it’s there completely yet. So much more goes into it than just the way the words sound I think. I’m still formaing many opinions about this industry and while I know where I stand for the most part I know I can still move in a few directions. The voice is getting there though and it’s getting closer to be what I want. You know, I didn’t get the idea of this post until I realized you are talking about the bloggers writing style. It is a so much more common definition than ‘blogging voice’. Once this is done, reading ‘style’ instead of ‘voice in the post above made sense. Anyway, I suppose it takes a lot of writing to find one’s writing style. In this case, the more, the merrier. Though it may be tempting to steer one’s style in favor of customers (and it may seem a natural thing to do), I’d suppose it may be worth sticking to one’s own style, anyway. After all, you’ll be writing for a while and any style can find its followers. Well it’s more than just writing style. Style is one component of voice, but there’s more to voice than style alone. 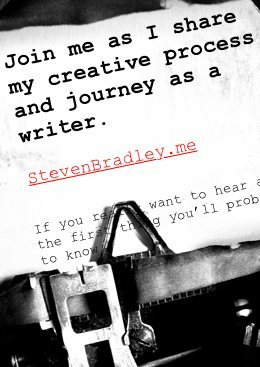 I’d say my own writing style is somewhat informal and conversational and my voice would change if I suddenly started writing in a more formal way. But my voice would change too if I started advocating quck fixes when it comes to seo or if I started telling people that it was more important to make your site flashy instead of focusing on content. You can pick up someone’s style reading one or two posts, but I think to know someone’s voice you need to read more than a few posts. Your voice is part what you stand for and believe in. It incorporates the values you hold. It carries your philosophy with it. Style is definitely part of it. A lot of that mental sound you might hear while reading is coming from the style of the writing, but even with the same style of writing wouldn’t you hear something different if the writer were extremely conservative in their poltics than you would if they were extremely liberal. Think of it when you’re reading a novel. The writing style should be the same throughout since it’s the same author, but each character has their own voice. As you get to know them (and if the author’s done a good job) you could tell who was speaking even if they aren’t specifically introduced by the narrator. They’ll choose different words when they speak and they’ll have different attitudes about a subject. It’s part style, but it’s definitely more than writing style alone. Wow, what an amazing and inspirational post. I feel that my voice is somewhat harsh, and needs to be flattened a bit. My biggest problem is that I preach without knowing it. I believe that in the future, my voice will develop further, and the preaching will tone down! Glad you enjoyed the post Josh. With your voice try to just be yourself. Pay attention to how you write and notice things that you may want to change, but overall be true to who you are. The more you keep writing, the more your voice will come out. Yes! Steven I found your blog this afternoon and immediately opened this article hoping it was and would be the inspiration I needed to find my own voice, a feat I’ve been struggling with since beginning my blog last month. What really clicked for me was how you noted that what we least want to let out or what is in the background is most often what comes through in our voice. I feel that what I struggle with the most is trying to be someone I’m not and so far it has led to results I’m not happy with. Thank you for bringing to light this point and the others as I feel free to just be myself in my writing now. I’m glad I could inspire you Jeffrey. I picked up the advice about the things you least want to share somewhere along the way. Don’t try to be someone you’re not. I think that always comes through and people can tell. Who you really are is always more interesting than who you think you need to be. I did the same thing for years, but found my writing improved most once I stopped trying to be like others and instead started being myself. Just write from yourself and keep experimenting a little. Try new things in your writing. Most importantly keep writing. I can’t guarantee that everything you write will be great, but I can guarantee if you keep at it your writing will get better and you will find your voice.